A well-fitting, crisp white shirt is something every man should own. This style guide will help you choose the right shirt for you as we discuss some of the differences between the ready to wear vs made to measure shirt. 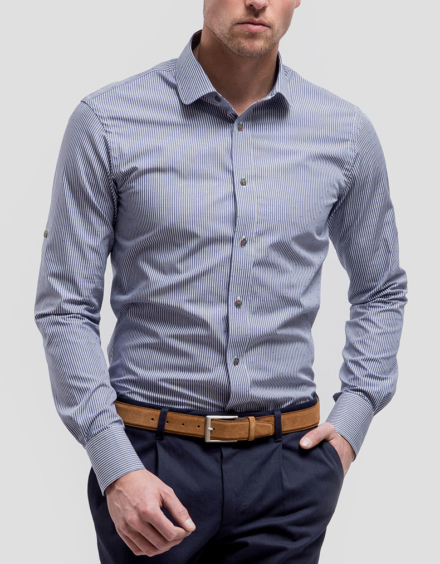 A great looking shirt should always be slim fit, avoid baggy excess fabric that bunches around the waist meaning constant tucking and re-tucking with every movement just looks messy. Of course, you don’t want your shirt so tight that its restrictive or causes pulling on the buttons. With a shirt made to your specific measurement you needn’t worry about puffy ‘ballooning’ of the fabric or a shirt that’s so tight that its restrictive. A ready to wear shirt probably isn’t going to fit as well, especially if you have a very defined silhouette with broad shoulders and smaller waist, in this case ready to wear definitely will not fit you properly and become easily untucked when you move about, creating a scruffy look. 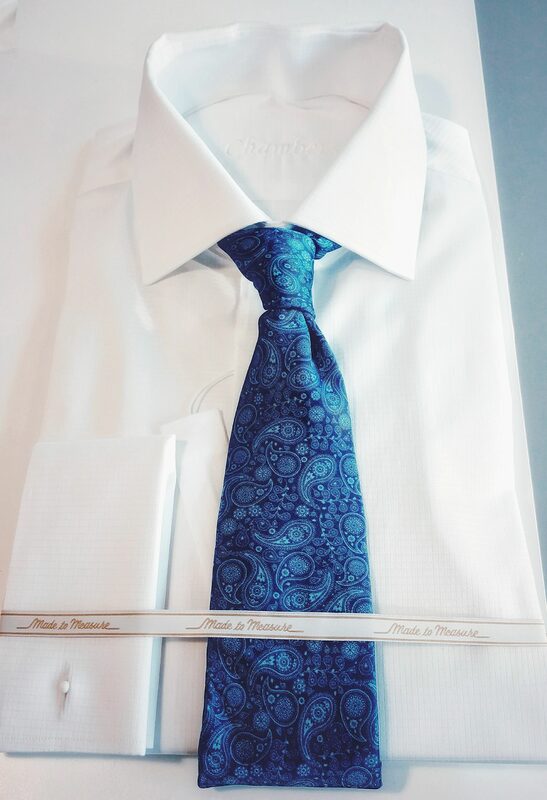 There are a multitude of fabrics available when it comes to choosing your perfect made to measure shirt. Textile technology including sweat and stain resistant materials or opt for the traditional luxury of the long fibre, super soft, sea island cottons. The difference between made to measure and ready to wear here comes down to scale, the primary focus of large companies is producing huge volumes of shirts at a competitive price. Because of this they tend to use Chinese short fibre cottons, which once spun and woven can be purchased in some cotton types for less £3 a meter. 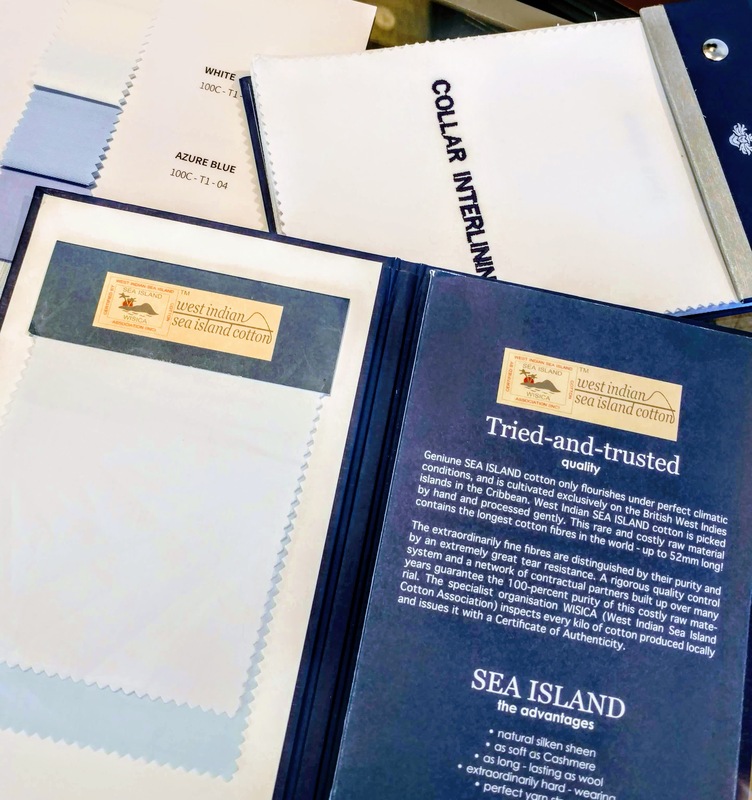 Because of this, a shirt made from this type of lower quality cotton will never look, feel and last as long as a shirt made from higher quality cottons such as Egyptian or Sea Island. Choosing the best collar for your facial structure. 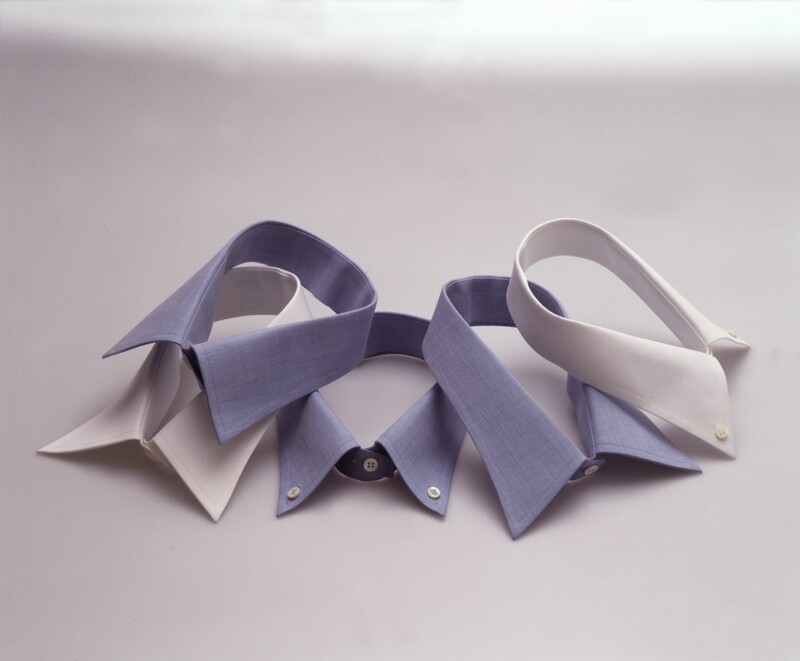 Collars are a crucial component of the shirt, framing the face and drawing attention to your jaw line and tie. The general rule is the wider the face the narrower the point collar should be, opt for a Button down or a King collar. Likewise, if you have a long or narrow face shape a Windsor, Cutaway or Rounded collar will be your better options. The shape of your shirt collar should be different from your face shape. For example, a narrow point collar looks good for a round face, while a wide or medium spread collar suits an angular face. One of the other major differences in quality between tailor-made and ready-to-wear shirts is at the armhole: ready-to-wear shirts generally have wider sleeves to accommodate all body shapes. This can result in an unattractive effect and an excess of fabric that will form an accumulation of fabric in the sleeves of your suit jacket. In all honesty, ready to wear does not necessarily mean poor quality. A great quality ready to wear shirt would have a very high attention to the quality of stitching and details, perhaps more so than some made to measure companies. There are some large companies that pride themselves on using only top of the range fabrics for off their ready to wear shirts, however in most cases is unlikely to have the exceptional fit of a made to measure or bespoke shirt.